4 universities, 2 funding organizations and 2 expert partners from 6 european countries. Different backgrounds and experience and a common commitment to pursue meaningful advancements towards gender equality: this is SUPERA team! UCM is one of the largest Universities in Spain and all around Europe. It has a vast academic offer in social sciences, humanities and STEM degrees and a long experience as partner, evaluator and expert in European projects regarding gender policies and structural change. UCM will be in charge of the project management and coordinationan and will also lead the development of a framework for the implementation of the gender equality plans. UNICA is the largest university in Sardinia and has strong experience in the participation to international research programmes. UNICA will lead the project Communication, engagement and sustainability in order to give visibility to the activities, share contents and experience with the internal and external audiences, create a sense of ownership among the project stakeholders and contribute to a durable change of the attitudes. UNICA will also implement a tailored gender equality plan. CEU is an internationally recognized non‐state institution of post graduate education in social sciences and humanities and also one of the most densely international universities in the world. CEU will develop a gender equality plan and also lead the preliminary gender analysis and baseline assessment. CES is a research unit of the University of Coimbra with an extensive experience in the analysis of the integration of gender dimension in science and research. CES has also a vast experience in the design of methodologies and tools for gender equality mainstreaming of policies, processes and practices. CES will implement a tailored gender equality plan. 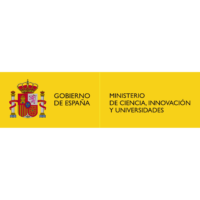 Within MICIU, the State Secretariat for Research, Development and Innovation is responsible for the policies of scientific and technical research, development and innovation in Spain. The Women and Science Unit is responsible for gender mainstreaming in science, technology and innovation in Spain. MICIU, through SEIDI and the State Research Agency, will lead the development of a framework for gep actions in research funding organizations. MICIU will participate in SUPERA in close cooperation with the Spanish Foundation for Science and Technology. RAS and, in particular, the “Centro Regionale di Programmazione” (Regional Programming Centre) play a leading role in the management of funds from EU programmes. As a regional public body, CRP is the planning office for regional policies and it directly manages the regional funds for research and innovation in Sardinia region. RAS will develop a gender equality plan as a research funding organization. SCIENCES PO will lead an impartial monitoring and the GEP progress evaluation, developing a methodology for objective monitoring and assessment drawn upon its experience in conducting policy evaluation and in achieving structural changes for gender equality in research and academia. YW is a multi‐disciplinary consultancy specialized in product, service and policy design, with strong expertise in the fields of gender equality and social innovation. YW will lead the capacity building, training and support activities, providing technical support and mobilising its design expertise to facilitate the institutional transformation process in all the organizations involved in the implementation of the GEPs. SUPERA international advisory board is composed by scholars and policy‐makers with a strong field expertise in topics such as gender statistics, data mining, assistance to the victims of sexual harassment and gender‐based violence, gender equality and diversity policies in complex organisations, concepts and methods for researching the impact of gender diversity on research performance. Jörg Müller, Open University of Catalonia (ES). He is senior researcher at the Internet Interdisciplinary Institute in Barcelona, where he participates to the Gender and ICT research program. He obtained his PhD in Communications at the European Graduate School in Switzerland and holds a degree in Sociology and Computer Science from the Free‐University in Berlin, Germany. He has been an expert advisor to the European Commission DG Research and Innovation. His research interests include practice based approach to gender (in)equality, especially in relation to the valuing of professional knowledge, and data intensive research methods within social sciences. He coordinated the FP7 project GenPORT and is currently coordinator of GEDII, funded under Horizon 2020. In SUPERA, Jörg Müller is the chair of the advisory board. Anne‐Laure Humbert, Global Centre for Gender and Leadership of Cranfield Management School (UK). Anne‐Laure Humbert is a researcher with an extensive experience in the area of women and gender within the economy and society, with particular attention to work and organisations, entrepreneurship and work‐life balance. She is an expert in the application of advanced quantitative methods of comparative social and economic analysis. From 2012 to 2015, she was Gender Expert (Research, Statistics, Indices) at the European Institute for Gender Equality, where she actively contributed to develop the EIGE’s Gender Equality Index. Nicole Huyghe, Boobook (BE). A Bio‐engineer (University of Ghent) with a Masters in Applied statistics (University of California at Berkeley), in 2002 she founded Boobook after spending five years in the market research industry in London and a few years at Procter & Gamble in Brussels. Boobook is a small but dynamic and innovative analytical consultancy company, focusing on a better use of data to support improved decision‐making. Miguel Lorente, University of Granada (ES). Full Professor at the Department of Legal Medicine, Toxicology and Physical Anthropology, he is also Secretary for Equality and Conciliation at the University of Granada. Formerly, he has been General Director for Juridical Assistance to Victims of violence at the regional ministry of Justice of Andalusia. In 2008‐2011, Lorente was appointed Government’s delegate for gender‐ based violence, attached to the Ministry of Gender Equality. He has extensively published on gender‐based violence, bioethics and DNA analysis and regularly collaborates on these issues with the daily newspaper El País. Jean‐Michel Monnot, All Inclusive (FR). Founder of All Inclusive, a consultancy agency working with major companies on developing gender and diversity strategies, until 2016 he was Vice‐President for Group Diversity & Inclusion at Sodexo, World’s 18th largest employer. In this role, he largely contributed to the advancements of the group in promoting gender parity (ranking 1st among top‐100 French companies for women’s access to leadership). Sodexo received the Catalyst award in 2012 and ranked 1st in the annual ranking of Diversity Inc in 2013. He was appointed a member of the French High Gender Equality Council in 2016.